New electronic key finder for 2014. This remote key finder(key tracker) can help you to find the lost keys, remotes, purses, glasses, canes, and other easily lost novelties quickly. 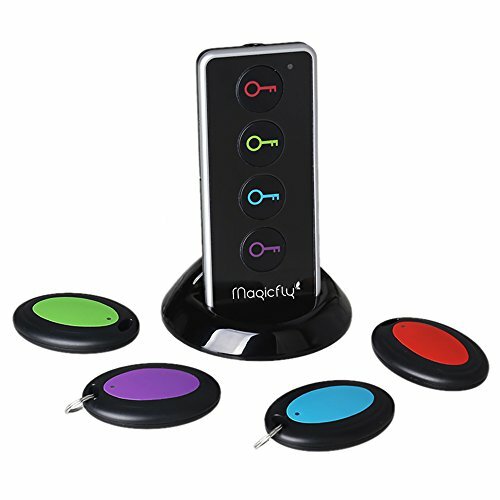 With just one press on the color-coded button, the beep sound and flashes will lead you to find the lost stuff. This is absolutely a unique key finder that you've ever seen! It contains a tumbler remote control and three smiling face receivers. Simply press the remote control and follow the audio signal, it will locate your keys or other lost items to 30 meters away. ON/OFF button which located at the right side of the transmitter allows you to turn on or off the flashlight easily. This becomes extremely handy when you need to find something in the dark.